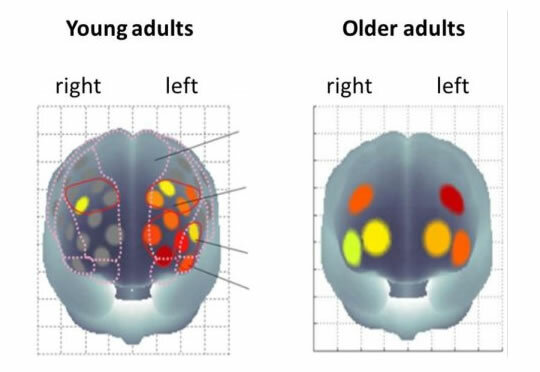 Ordinarily, older brains have to work harder to do the same job as younger brains. The link between physical fitness, better brain function and brain activation has been shown for the first time. Research on older Japanese men has shown that the brains of those who are fitter perform like those of much younger men. 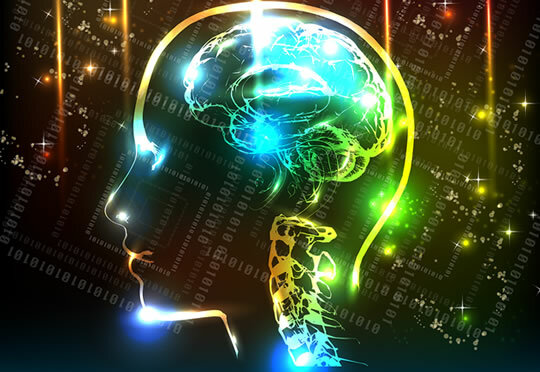 The finding is based on how typical patterns of brain activation change with age. The images below show the difference between young and old in brain activation on a typical memory test. As you can see, younger adults primarily use the left side of the prefrontal cortex for the short-term memory task. Older adults, meanwhile, tend to use the left and right side of the brain equally for the same task. Neuroscientists have a nick-name for this change: HAROLD. It stands for “hemispheric asymmetry reduction in older adults”. In the study, though, neuroscientists found that older men who were fitter tended to use the left-side of their brains more, just like younger people. On top of that, fitter seniors also had faster reaction times. “…one possible explanation suggested by the research is that the volume and integrity of the white matter in the part of brain that links the two sides declines with age. We don’t yet know if the results would be the same for women, but it would be surprising if they weren’t. The study was published in the journal Neuroimage (Hyodo et al., 2015).